What is a kilowatt-hour or kWh? In most areas, you will need to contact your local utility company to change the name and contact information for your account. This is because Direct Energy does not send your bill to you each month. How can I receive assistance paying my Direct Energy bill? Will my bill look different if I choose Direct Energy? What do I do if I notice an error on my bill? 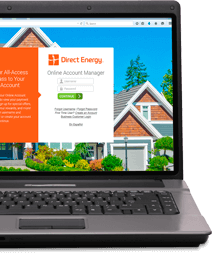 Where do I send my payment after I switch to Direct Energy? Who do I contact to change my payment due date? Your local utility will continue to send you a bill. That bill will include the local utility's charges as well as Direct Energy charges. Your local utility will remit payment to Direct Energy for your gas supply charges. If I choose Direct Energy, how will I be billed? What happens to my budget plan when I switch to Direct Energy?